Fish hobbyists know the peculiar tendencies of betta. Specifically, they know that this fish has particular and sensitive needs. As a result, it becomes difficult for a betta fish to mingle with other fish. Because of this, you will need the best tank for betta fish to house your favorite underwater pet. Of course, the tank that you will choose should not be ordinary as well. You cannot just go with conventional aquariums or otherwise, your betta fish won't live comfortably and healthily. Fortunately, there are specialized betta fish tanks that you can buy in the market today. But in this article, we will just feature the "cream of the crop" among these aquariums. In this way, you will be able to get a fish tank that would satisfy you and your betta as well. Here are they! Well, now without wasting any further time, let’s jump on to our top 5 best Tank for Betta Fish 2018. Fluval Spec III is the exact definition of premium betta aquarium. It is a 2.6-gallon tank that has a compact build and design. It can serve as perfect decoration in your room or your office. Moreover, it comes with an aluminum trimming on its edges to improve its sturdiness and hold. Meanwhile, its lid doesn't come easily. The Fluval Spec III also comes with a LED lighting system. It is a feature that most betta tanks don't have. 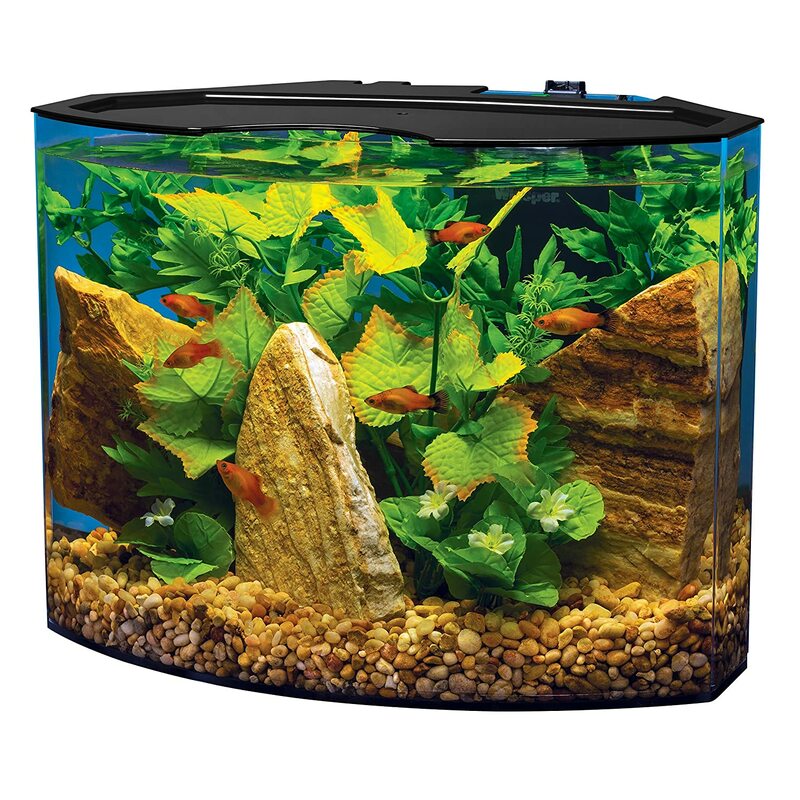 You will also love the activated carbon, foam block, and other biological filters that come with this awesome aquarium! Therefore, choosing would never become a regrettable choice. The Water Garden is another optimal choice for a betta fish tank. 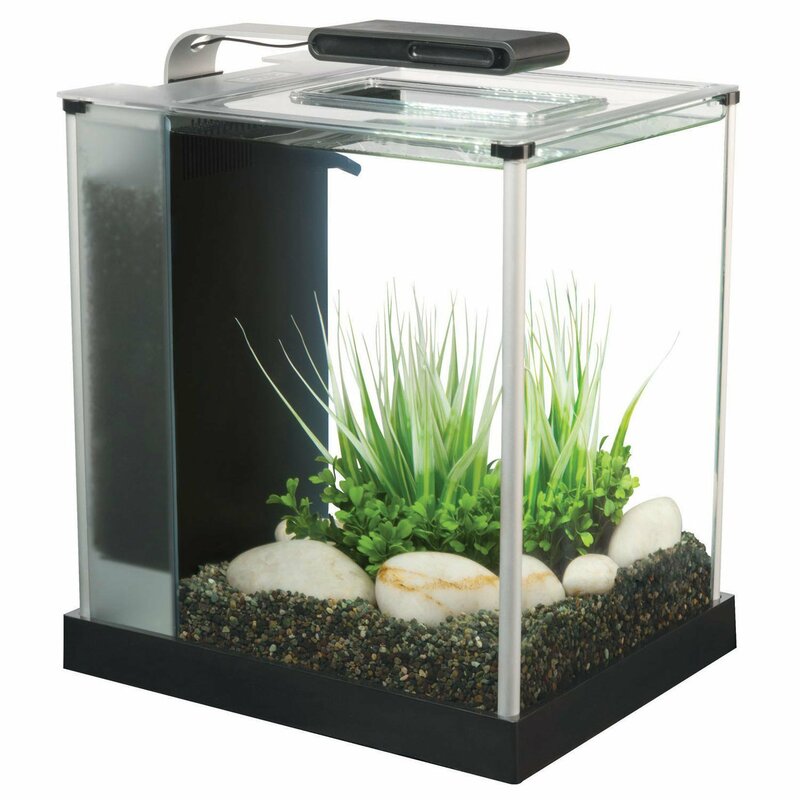 It has a larger capacity compared to the Fluval Spec III (it is a 3-gallon fish tank). This particular product has distinctive features that it can boast. First, it is a looped ecosystem, considering that it is an aquaponic tank. Specifically, the plants absorb the waste of the wish to become their fertilizers. On the flip side, the plant cleans the aquarium water naturally. Therefore, it is a self-cleaning fish tank that requires less or no maintenance at all! It is also noticeable that the Water Garden optimized its water circulation as well. 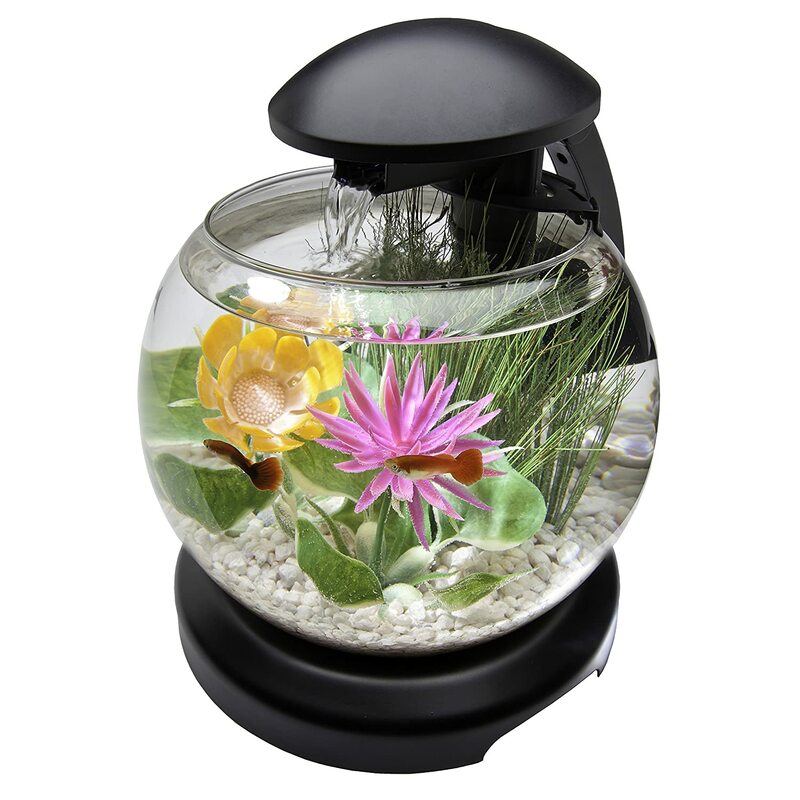 If you are a fan of sphere shape aquariums, then you will certainly love this item from Tetra. Specifically, the Tetra Waterfall Globe Aquarium is a perfect choice for those who wants beauty and function at the same time. As its name suggests, it has a waterfall component that optimizes the cleanliness and quality of the water. It is also using a cartridge based filtration for maximum efficiency. Your betta fish will enjoy swimming in this aquarium because of its LED lighting system. And unlike other fish tanks, the lights of this fish tanks comes with an on/off feature. It is a power-saving design that you wouldn't want to miss! Another premium betta aquarium that you must not miss is the EcoQube. This particular fish tank is a combination machine and hand-made polishing. 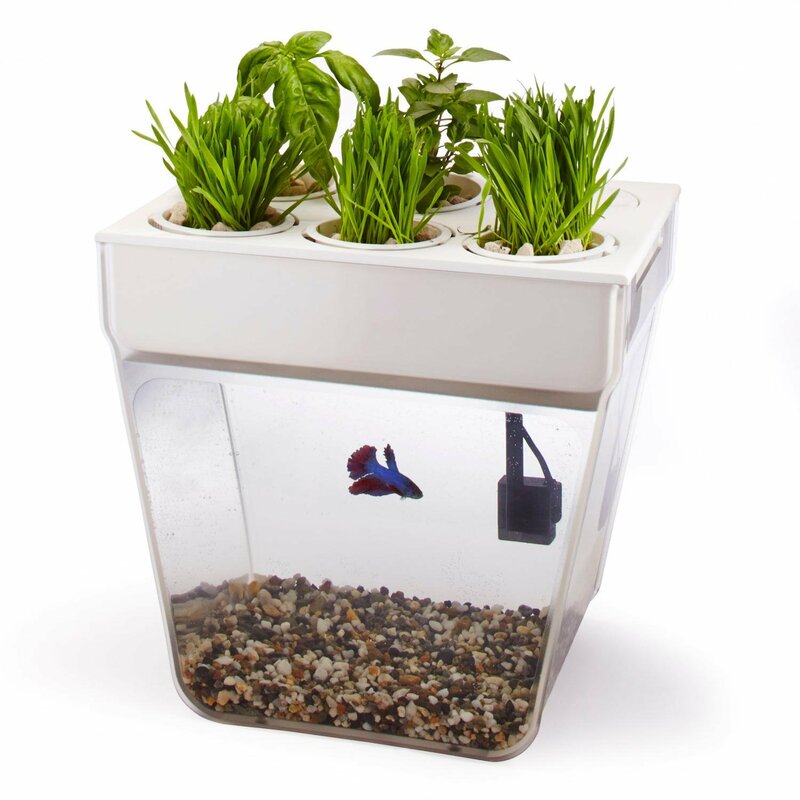 It also boasts it aquaponics that can boost the living conditions of your pet fish. Moreover, the LED light that it uses is in full spectrum. In fact, you can even adjust its intensity through its wireless remote! Despite its sophisticated features, EcoQube still requires less maintenance. It is also easy to use as well. Since this one is an aquaponic tank, you can expect that it has a self-cleaning mechanism as well! One of the most innovative betta aquaria we have ever seen is the Tetra Crescent Acrylic. Specifically, it is a beautifully-designed energy-efficient aquarium at a very reasonable cost. Unlike all the fish tanks here, the LED system of the Tetra Crescent is perfectly hidden. As a result, it can properly showcase the grandeur of your setup. This aquarium is also using a mechanical filter that moves the water towards the cartridge. In there, a dense mesh takes out all the water debris and fish waste. Because of this efficient cleaning process, the Tetra Crescent a decent and healthy living environment for your beloved betta. You cannot just buy a fish tank that you have randomly seen in your local pet store if we are talking about betta fish. Therefore, you should take the following considerations into account. As we told earlier, betta fish is a very unusual underwater creature. It doesn't go well with other fish. In fact, there is a tendency that it will hurt its neighbors once it gets irritated. Of course, there are few type of fish out there that can live together with a betta﻿. However, many people still recommend that you put this fish in a separate container. You have to know that a betta fish have an aggressive behavior. It will attack male fish that has more impressive appearance than it. In their natural environment, these skirmishes could not result in death as there are a lot of space to run. But in a restricted space like an aquarium, things could turn to worse. In fact, you cannot even put a female betta fish together with a male betta unless it is mating season. 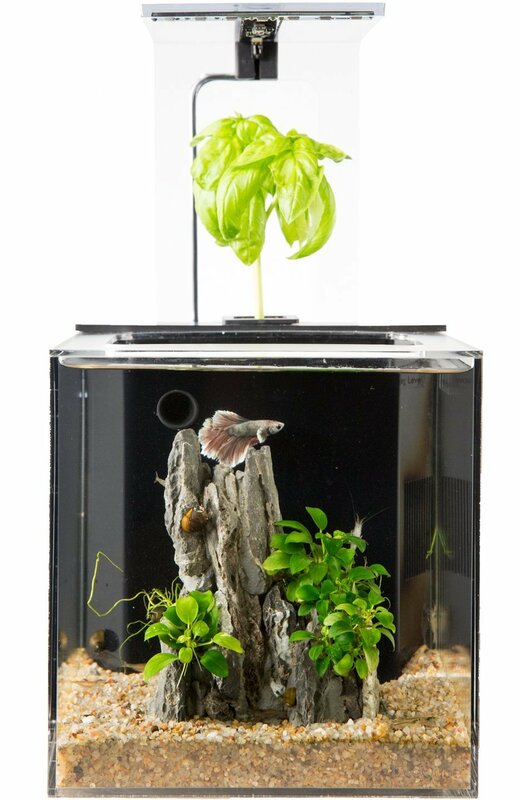 This complexity should convince you that a dedicated solitary aquarium is necessary if you want to adopt a betta. Of course, size still plays an important role for the convenience of betta fish. Although it is not widely applicable, a betta is quite energetic. They love to swim and play around. Therefore, it would be great if you will choose a large aquarium for them. However, it doesn't mean that small fish tanks are not a good choice either. A lot of hobbyists today prefer small betta fish tanks. After all, they will just be housing one fish! Therefore, there should be no problem if you will buy a desk-size aquarium. Specifically, the ideal size of the aquarium should not be lesser than one gallon. Two-gallon fish tanks or higher could also benefit your intended setup. A betta is a tropical fish. Therefore, it won't survive unless the water is warm enough. You don't want the temperature to drop below 74 degrees Fahrenheit. Otherwise, the fish will die. Because of this, you ought to buy an aquarium heater, especially if you are living in frigid conditions. Most betta aquariums today comes in a complete package. But it doesn't mean that the heater comes with them. If necessary, you have to invest on this accessory. We got all the essential things covered. Now is the perfect time to showcase the best options for betta fish tanks! A specialized fish tank is necessary for a betta fish. It requires a conducive and spacious environment to dwell in. Otherwise, it won't survive long and just die eventually. Therefore, we highly recommend that you get any of these fish tanks we featured so that you can avoid these unlikely things from happening. Among these products, we deem that the Fluval Spec III is the best tank for betta fish. Aside from its excellent build and quality, it requires less maintenance as well. It can also provide a decent amount of space for your underwater friend to swim around. All of its parts are seemingly working as you expect them to be. Therefore, it a good choice for any starters. Did you learn from this article? What are your thoughts with these fish tanks? Write your thoughts in the comment section below.